There are bad cops and there are good cops - and then there's Bullitt. His new assignment seems routine: protecting a star witness for an important trial. But before the night is out, the witness lies dying and cool, no-nonsense Detective Frank Bullitt (Steve McQueen) won't rest until the shooters and the kingpin pulling their strings are nailed. From opening shot to closing shootout, Bullitt crackles with authenticity: San Francisco locations, crisp dialogue and to-the-letter police, hospital and morgue procedures. An Oscar winner for Best Film Editing (1968), this razor-edged thriller features one of cinema history's most memorable car chases. Buckle up and brace for unbeatable action. On any short list of Steve McQueen’s biggest and best-known films, you’ll find 1968’s Bullitt. 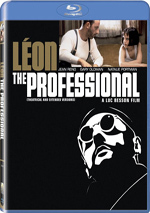 San Francisco PD Lt. Frank Bullitt (McQueen) gets the assignment to protect Johnny Ross, the star witness in a big investigation of organized crime. This doesn’t go well. With one of his men on guard duty, thugs break into a hotel room and gun down Ross. He eventually dies, so Bullitt goes on a quest to locate the killers and get to the bottom of the murky circumstances. This includes suspicions about Walter Chalmers (Robert Vaughn), the official for whom Ross intended to testify. Would folks remember Bullitt four decades later without its legendary car chase? Perhaps, but the subject becomes much more open for debate, as that action sequence remains its true calling card. And it’s still a good one. Ever since 1968, film productions have attempted to top the Bullitt car chase, and I think some succeeded; I wouldn’t call this scene the best of its genre. Nonetheless, it was the most seminal and influential, and it remains a corker. The chase fills 10 minutes with tense action and stands out as the movie’s strongest segment. That’s partly because the rest of Bullitt tends to be extremely low-key. No, the other 104 minutes don’t ever become boring, and its climactic airport sequence offers some good thrills. Nonetheless, the majority of Bullitt features a whole lot of… well, not a whole lot of nothing, but a whole lot of something close to nothing. I suspect the filmmakers focused on the slow aspects of police work to paint a more realistic, less glamorous view of the profession. The movie came out during an era in which understated storytelling became much more in vogue, and Bullitt demonstrates this. In fact, Bullitt follows that trend to such a degree that it barely includes dialogue. The lead character is a perfect example of the taciturn hero who focuses on his job to the exclusion of almost everything else. 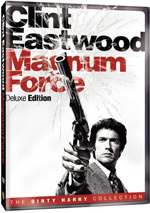 Eastwood would develop this kind of role with Dirty Harry, but that character threw in quips along the way, while Bullitt couldn’t be much drier and more to the point. That means he never becomes a particularly well-developed personality, and the others found here follow suit. Heck, his girlfriend Cathy (Jacqueline Bisset) gets so little depth that I’m surprised they even bothered to give her a name. The film focuses on archetypes more than anything else. And it concentrates on the job above all. I think it’s an interesting approach to strip police work of most of its life, as it certainly comes closer to reality than most films. However, to a degree, Bullitt wants to have it both ways: it wants to demonstrate the tedium of the job, but it still gives us a few exciting sequences that seem less typical. Whatever motivated the filmmakers, their choice to make Bullitt dry and process-based makes it less than enthralling much of the time. Again, I can’t say that it ever becomes boring, as the investigation keeps us pretty well hooked. Nonetheless, the movie tends to move rather slowly, and it nearly loses us at times. At least that killer car chase ensures some excitement. 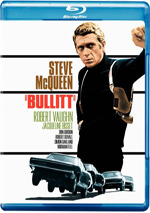 Bullitt appears in an aspect ratio of approximately 1.85:1 on this Blu-Ray Disc. The transfer may have been a fairly accurate replication of the original image, but it nonetheless didn’t look especially good. Sharpness was erratic. Some shots offered very nice clarity, while others appeared fuzzy and soft. Most fell somewhere between those two extremes: the majority looked reasonably accurate but not especially concuse. No issues with jagged edges or moiré effects materialized, and I also thought edge enhancement seemed absent. Source flaws weren’t an issue. A small speck or two cropped up, but the transfer remained quite clean. It did come across as very grainy at times, though. The film tended toward a dry, natural palette, and the disc reproduced the colors in an adequate manner. Within the photography style of the flick, there was only so much life that could come from the hues; an occasional lively tone appeared, but most remained low-key. Black levels looked reasonably deep, but shadows tended to be opaque; low-light shots lacked much definition. Given the movie’s age and style, I thought the presentation deserved a “C+”. Don’t expect much from the film’s Dolby Stereo 2.0 soundtrack. For the most part, it offered glorified monaural audio. Music lacked notable stereo spread, and effects only sporadically broadened to the sides. The famous car chase featured some movement, and shots at an airport also opened up to the sides. However, these were minor examples of information, as the track remained largely focused on the center. In terms of quality, audio seemed consistently decent but unexceptional. Dialogue was a bit thin and flat but sounded easily intelligible and articulate. Music was fairly bright and clear and also boasted some modest low end at times. Effects generally came across and accurate and crisp. I found the soundtrack of Bullitt to provide an acceptable presentation for its era. When we shift to extras, we open with an audio commentary from director Peter Yates. He offers a running, screen-specific look at sets and locations, story and character issues, music, camerawork and editing, cast and performances, aspects of the famous car chase, and a few other production topics. While Yates never quite makes this a great commentary, he does manage to cover a good array of details. He delivers a nice encapsulation of the different areas and lets us understand his methods and experiences. The chat digs into the movie well and deserves a listen. Three programs ensue. The “vintage featurette” Bullitt: Steve McQueen’s Commitment to Reality goes for 10 minutes, 14 seconds as it includes remarks from Yates and McQueen. This promotional piece focuses on the production’s attempts at accuracy during the shoot. We find a few interesting shots from the set, and it’s nice to hear from McQueen, but the show lacks much heft; it doesn’t educate us much about the flick. 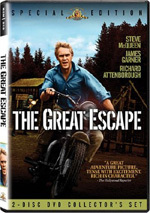 Steve McQueen: The Essence of Cool lasts one hour, 27 minutes, three seconds and includes remarks from Yates, McQueen (via archival footage), manager Hilly Elkins, actor/wife Neile Adams, publicist David Foster, assistant director Robert Relyea, filmmaker Lawrence Kasdan, executive producer Walter Mirisch, stuntmen Pat Johnson, Loren Janes and Bud Ekins, film critic Charles Champlin, photographer William Claxton, director Norman Jewison, son Chad McQueen, cinematographer Haskell Wexler, Sam Peckinpah’s assistant Katherine Haber, model/wife Barbara Minty McQueen, friend Mario Iscovich, and actors Alec Baldwin, Robert Vaughn, LeVar Burton, Suzanne Pleshette, Robert Culp, Martin Landau, Don Gordon, Eli Wallach, and Lord Richard Attenborough. “Cool” offers an overview of McQueen’s life that focuses on his time as an actor. That means it essentially starts with the launch of his career in New York; we get a few notes about his childhood, but the program concentrates on his personal and professions lives from the 1950s until his death in 1980. Most programs of this sort do little more than glorify their subjects. While we get plenty of praise for McQueen, we also hear a lot about his flaws and mistakes. These elements combine to form into a consistently compelling, involving look at McQueen. In addition to the film’s trailer, the disc finishes with The Cutting Edge: The Magic of Movie Editing. In this one-hour, 39-second, 23-second documentary, we hear from Kasdan, producer Jerry Bruckheimer, directors Jodie Foster, Anthony Minghella, Sean Penn, Martin Scorsese, Rob Cohen, Quentin Tarantino, Steven Spielberg, James Cameron, Ridley Scott, Alexander Payne, Wes Craven, George Lucas, Chris Columbus, Paul Verhoeven, and Joe Dante, and editors Zach Staenberg, Michael Tronick, Walter Murch, Antony Gibbs, Mark Goldblatt, Sally Menke, Craig McKay, Richard Marks, Kevin Tent, Howard Smith, Conrad Buff, Dylan Tichenor, Carol Littleton, Tom Rolf, Pietro Scalia, Tina Hirsch, Frank Urioste, Peter Honess, Alan Heim, Lynzee Klingman, Jay Cassidy, Thelma Schoonmaker, Michael Kahn, Paul Hirsch, Dede Allen, Anne Coates, Richard Chew, Donn Cambern, Joe Hutshing, and Chris Lebenzon. “Edge” discusses the origins of film editing, its development over the decades, and specifically examples of various techniques. “Edge” offers a simply awesome history of editing. The subject may sound a bit dry, but the documentary really brings it to life and gives us an excellent glimpse of the way cutting works in films. Add to that a stellar roster of filmmakers and plenty of illuminating movie snippets and this becomes a great little show. Best known for its killer car chase, Bullitt offers something of a mixed bag for its other 104 minutes. While the movie keeps us interested, it moves awfully slowly and lacks a particularly involving tale. The Blu-ray provides decent picture and audio along with a fine set of supplements highlighted by a pair of excellent documentaries. I’m not wild about the movie, but this is a good release.